After Yangon, Mandalay is Myanmar’s second city. 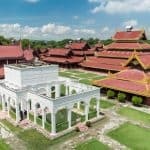 It was the last royal capital and remains not only the economic center of Northern Myanmar but also the cultural center of the country. Mandalay is little more than 150 years old and celebrates its birthday every year on May 15th at 4:31 am. 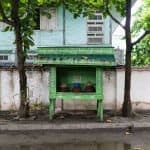 How much time should I plan for Mandalay? 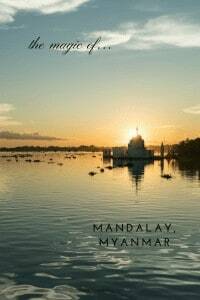 What are the entrance fees for Mandalay’s sights? 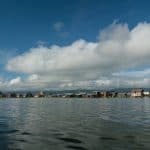 What is the best means of transport for exploring Mandalay? Day 2 (afternoon) + Day 3: Mandalay itself with Mandalay Hill, the Royal Palace, and several significant temples dotted about the city. 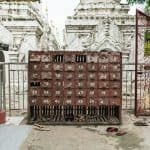 There is a convenient Mandalay Archeological Sites ticket, which costs 10,000 Kyat (10 USD), is valid for five days, and includes all sites in Mandalay, Sagaing, Inwa, Amarapura plus some. However, many places will not even ask for the ticket when you enter. A separate fee of 5,000 Kyat is due for visiting Mingun. Some of the temples ask for a Photography Fee of 300 to 1,000 Kyat. Mandalay is a sprawling city and days can get scorching hot with highs of at least 28°C throughout the year. So you will want motorized transport for your explorations. 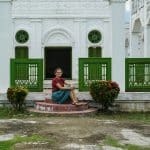 Since this is one of the few (tourist) sites in Myanmar where foreigners are allowed to ride scooters/motorcycles, I recommend renting a motorcycle for Day 1 and your explorations of Sagaing, Inwa, and Amarapura. 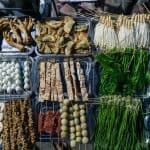 Note that renting a scooter/motorcycle in Mandalay is more expensive than in Vietnam or Thailand. I paid 15,000 Kyat ($15) for the bike I rented from the Four Rivers B&B Mandalay and another 1,500 Kyat to top up my tank. A very affordable alternative to renting your own scooter or motorcycle is to book a driver. 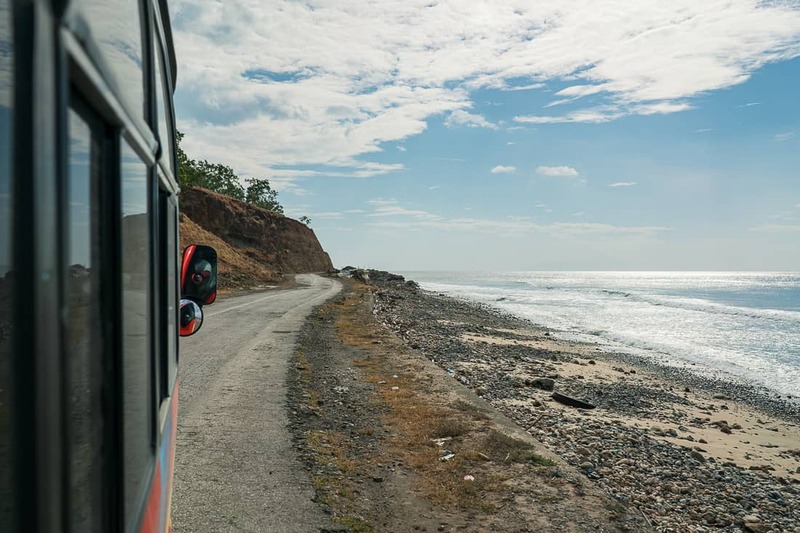 An easy-ride option – where you’ll be riding on the back of a motorcycle – is as little as 15,000 Kyat for the whole day while cars (with driver) are available for about 25,000 Kyat per day. 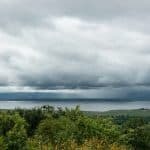 While these options mean you don’t have the flexibility of driving along random roads, they come with knowledgeable guides who will make sure that you see all the major sights. 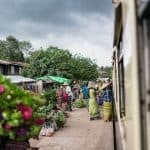 Myanmar Railway trains are an option for your visit to Sagaing and Amarapura. Trains leave a few times a day and tickets cost a few cents. From Amarapura station, the main sights are in walking distance; U Bein Bridge, for example, is half an hour on foot along shaded avenues from the station. However, from Sagaing station, you will need motorized transport to move around. Finally, many hotels also offer bicycles for rent. 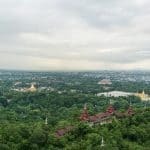 Those are great to explore downtown Mandalay as the city (bar Mandalay Hill) is reasonably flat. 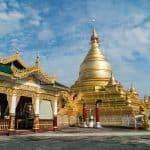 If you want to travel further afield, bus tickets are available at all accommodations and throughout the city, while Mandalay Central Railway Station offers connections all the way to Yangon in the South as well as more northern destinations such as Pyui, Shwebo, Kawlin, Mohnyin, and Myitkyina. 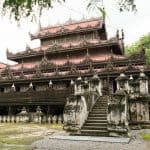 Of course, if you’d rather pre-book a set tour from home so you can hit the ground running when you arrive, check out the Mandalay & surroundings tours offered on Viator. For my first three nights, I booked a dorm bed at the Four Rivers B&B Mandalay at $8/night. It’s a solid hostel with free breakfast on the rooftop terrasse and within walking distance to Mahamuni Pagoda. However, despite air conditioning in a relatively small room I found the pod-style beds unbearably hot at night and the bathroom fans very filthy. So I moved to an ensuite private at the Taim Phyu Hotel (Silver Cloud Hotel) closer to the Royal Palace (albeit not within walking distance as foreigners can only use the 19th-Street gate). The rooms are a bit dated, and WiFi can be frustrating. 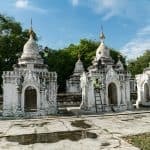 But the staff is courteous and extremely knowledgeable about all things Myanmar travel, and they will provide info on differently priced options – not just sell the expensive tours. Oh, and they also have a rooftop terrace where they serve an extensive breakfast buffet every morning. 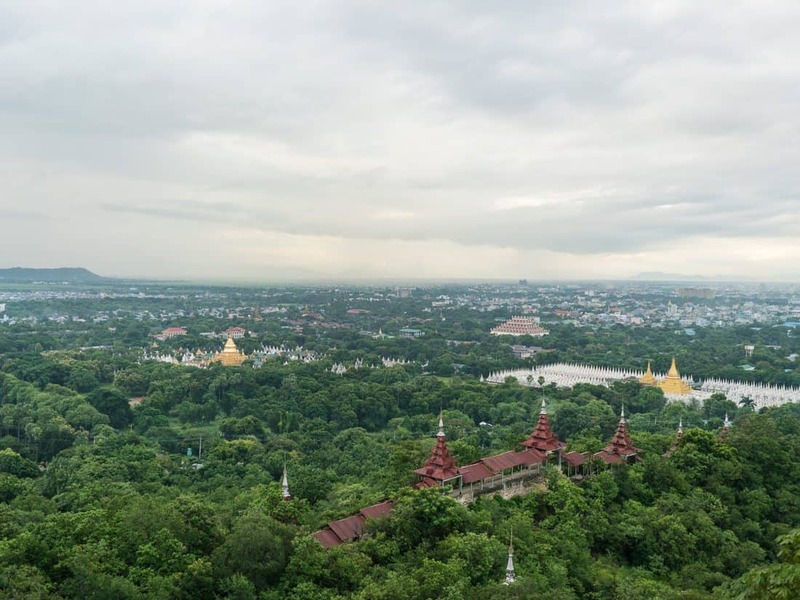 The royal city at the foot of Mandalay Hill that King Mindon had built in 1857 was officially called Ratanapūra — Gem City — or Yadanabon just like it’s predecessor, Inwa. 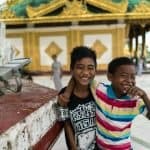 While Mandalay has now become the official name, you will find “Yadanabon” in some place names in and around Mandalay. 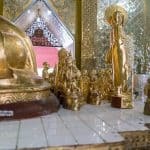 King Mindon chose the location based on a prophecy, which foretold the founding of a metropolis of Buddhism in that exact place on the occasion of the 2,400th jubilee of Buddhism. 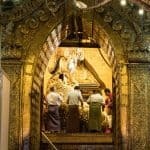 With this bold promise as a starting point, you can imagine that most sights within the vicinity of Mandalay Hill are of religious nature. 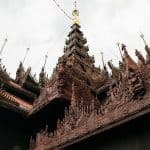 I split my explorations into two days: One day was reserved for Mandalay Hill and the temples and monasteries at its foot as well as the Royal Palace. 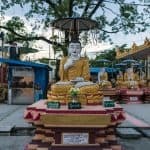 On the other day, I went to three sites South of the old town: the teak Shwe In Bin Kyaung (Monastery), Mahamuni, one of the holiest sites in Myanmar, and the Skinny Buddha. So we left my hotel at 4:45 am to be there in time for sunrise at just before 6. The motorcycle was struggling the last few hundred meters up the very steep road. 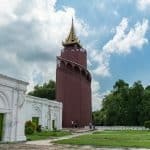 We arrived at Sutaungpyei, the “Wish-fulfilling Pagoda,” which crowns Mandalay Hill at 5:15 and I handed the sleepy guard 1,000 Kyat “Entrance Fee.” I’m sure he pocketed it but was too eager for my photos to argue. It turns out that the top is not the best spot for sunrise photos of Mandalay. Because from here, you can only look to the West, to the Irrawaddy river but not East towards the sunrise or South onto Kuthodaw. So maybe the top of Mandalay Hill would make for a great sunset spot. I walked around for a little bit, slightly disappointed and then decided to walk down to the foot of Mandalay Hill rather than go back on the motorcycle. I wouldn’t have dared climb the roughly 1,000 stairs but going down sounded like fun. From the top, covered stairways called saungdan, lead down through a maze of pagodas and temples, sometimes splitting. 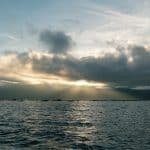 I opted for an easterly course, still hoping for some glimpse of the morning sun. And Shweyattaw is the place where you have the perfect view of the sunrise and Kuthowdaw Pagoda. A local photographer and his daughter were already there and occupied the very best spot. So I tried a few other angles. My hunger for sunrise photos satisfied it was time for breakfast. By seven, I had reached the bottom of Mandalay Hill, and since my driver was not at the agreed upon location, I decided to walk from here. 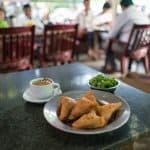 I turned left towards Kuthodaw and found a few cafés selling common Myanmar breakfast items like samosas, sweet coffee, and Mohinga soup. Two milky coffees and a plateful of freshly fried samosas cost me less than a dollar. Kuthodaw Pagoda was built at the behest of King Mindon in 1857 on occasion of a large Buddhist meeting, the Fifth Great Synod. 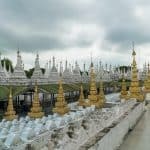 While the central golden pagoda is pretty but not remarkable, the 729 crisp white stupas surrounding it are known as “the world’s largest book.” They contain the Buddhist scriptures with not just a religious but also a social significance for all of Asia. 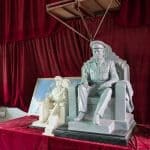 I left Kuthodaw via the same entrance I had entered to retrieve my shoes and paid a brief visit to the workshop trying to build a massive marble monument for General Aung San. 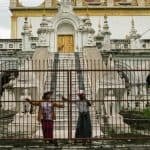 Aung San was not just the father of Aung San Soo Kyi, but more importantly, is revered throughout the country as the father of Myanmar’s independence from the British Empire. 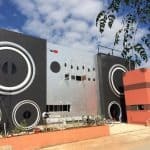 The project is lacking funding, so all you can currently admire are small-scale models and a full-scale trial sculpture made from steel and concrete. King Mindon also ordered Sandamuni Pagoda (also Sandamani Paya). It commemorates the assassination of the king’s younger brother and two princes during an uprising. The royal court was located next to Sandamuni before the completion of Mandalay palace. The layout is not dissimilar to Kuthodaw, but the stupas are smaller and closer together so that visitors cannot wander between them. The next stop is Atumashi Kyaung. Another one of King Mindon’s constructions, it must have once been an awe-inspiring sight. The large sitting Buddha in its center was made from the king’s lacquered clothing and the third eye on his forehead was a massive diamond. 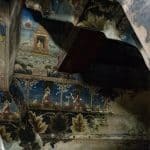 The diamond vanished when the British conquered Mandalay in the 1880s and the original teak structure burnt down in a subsequent fire, leaving only the stumps of the massive pillars, the grand staircase, and some outer walls behind. In the 1990s the building was reconstructed in concrete. Right across a square from Atumashi Kyaung is the Golden Palace Monastery (Shwenandaw Kyaung). The building received its name from the fact that it was part of the king’s apartment both at the Amarapura and the Mandalay court. It was moved a second time to its current location in 1878 and rededicated as a monastery. The Golden Palace has withstood earthquakes and fires and is one of the few remaining original 19th-century buildings. 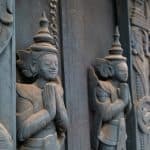 It is today a dark teak structure but if you look closely, especially in the areas less exposed to the elements, you can still see golden and red paint on the ornate wood carvings. From the Golden Palace Monastery, I walked the three kilometers to the Mandalay Palace. 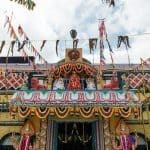 I enjoyed especially seeing the colorful temples along 19th Street dedicated to different religions. 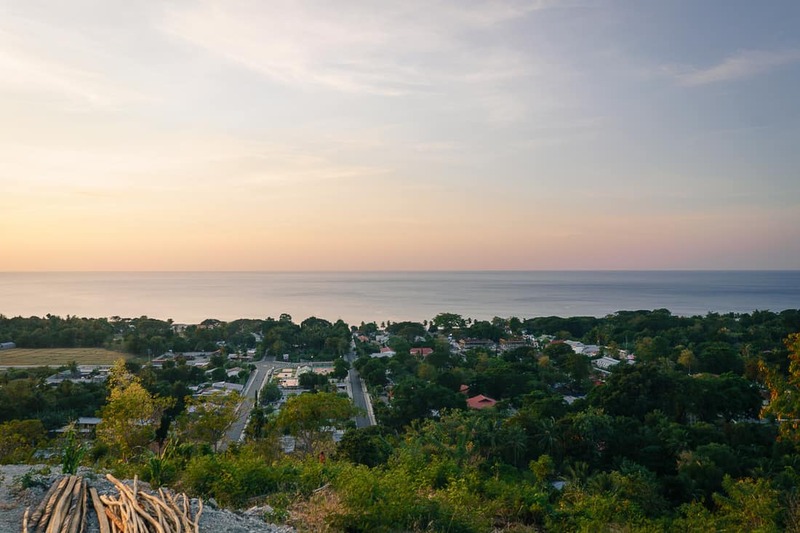 But if you’d rather escape the dust and heat on the streets as quickly as possible, there are taxis waiting outside Atumashi Kyaung, or you stop a taxi along the road when you get tired. 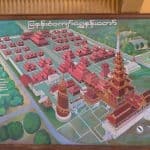 Note, that the 6,666×6,666-feet Royal Palace compound is today an army base also known as Mandalay Fort. Foreigners are only allowed to enter/leave via the eastern gate on 19th Street. 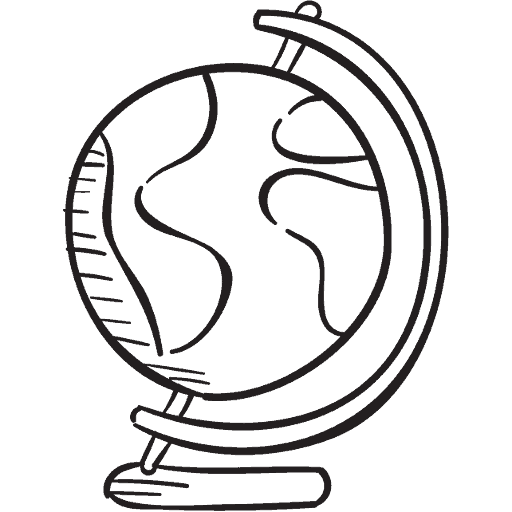 You have to hand in your passport and will receive a badge to be worn openly at all times. Most taxis/motorcycles are not allowed inside the compound. But you can hire a motorcycle driver at the checkpoint to take you the 1,500 m into the center to the actual palace. You are also allowed to walk along the broad avenue shaded with 150-years old trees; just don’t stray from the main road. The entrance fee to Mandalay Palace is included in the 10,000-Kyat Mandalay Archeological Sites ticket. 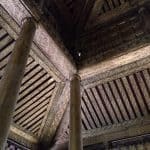 Apart from the massive outer walls, a watchtower, and a few smaller buildings, the Royal Palace in Mandalay was built entirely from teak and almost completely destroyed during a World War II battle. 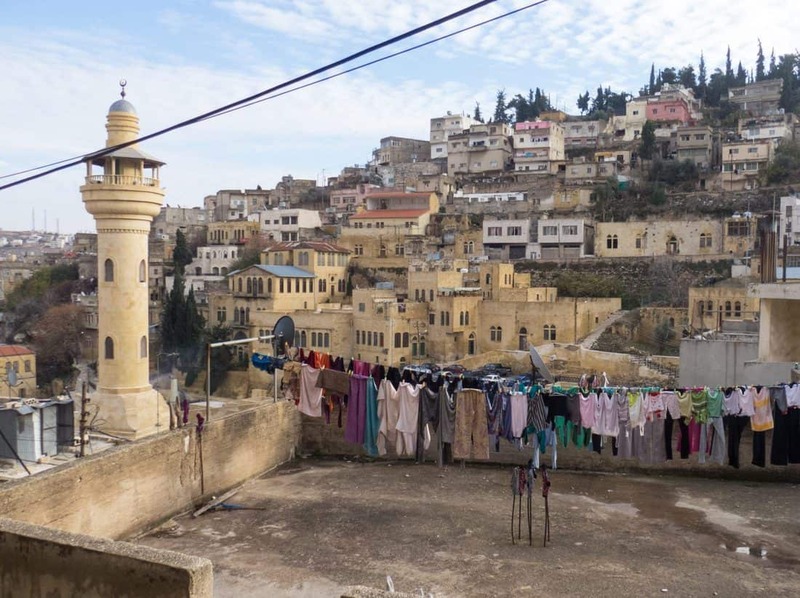 Reconstruction efforts started in the 1990s and are ongoing. But the existing structures allow the visitor to get an idea of what the royal court once looked like. The first must-do stop in the palace is the watchtower with its wooden staircase spiraling along the outside. 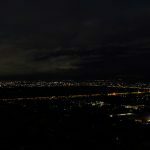 From here, you not only see the whole grid pattern of palace buildings, but you can also see remains of the tram line, which ran across, and of, course, see the Irrawaddy River and Mandalay Hill in the distance. Wander through the royal apartments and throne rooms (there are seven of them) at your own leisure but make sure you go all the way to the Western end of the palace where you find a small museum. BTW: If you want to see more Myanmar treasures, head to the Victoria and Albert Museum in London, where the British took their war loot after sacking the royal capital in 1885 and thereby securing control over Myanmar for the next 60+ years. Having got up before dawn and walked around for hours, I was knackered after my Mandalay palace visit. But if you still have the energy you can visit the following (I did those in the afternoon after returning from Mingun): Shwe In Bin Kyaung (Monastery), Mahamuni, one of the holiest sites in Myanmar, and the Skinny Buddha. Shwe In Bin Kyaung (also Shweinbin Monastery) is another teak monastery. It is not as impressive as Bagaya Monastery in Inwa and similar in style to the Golden Palace monastery (albeit without the golden history) but offers the advantage of being much less busy and having a friendly elderly monk who might come by and explain the different features of the ornately decorated hall. Mahamuni Buddha Temple (Maha Muni Paya) is home to the holiest Buddha image in Mandalay. The sitting Buddha is said to have been brought to live 2,500 years ago by Siddhārtha Gautama, the first Buddha and is therefore also called Mahamuni Sacred Living Image. The sculpture measures almost 4 m in height and is covered over and over in gold. Devotees from all over Myanmar come here to join the rituals and pray. This is a great one for sunset. 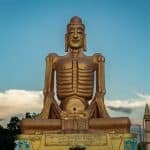 The large outdoor Buddha Image was built only a few years ago and is distinct for the representation of an emaciated Buddha rather than the normal to portly body type Buddha images are usually given. Also, in the garden surrounding the great Buddha, you’ll find sitting images giving all kinds of hand signs – another thing I’d never seen before. Awesome pictures. Very informative post with all detailed required for traveling to a post. Thanks for sharing.